DALLAS – Dallas attorney Richard A. Sayles, co-founder of Sayles Werbner, P.C, has earned selection as one of the top 10 attorneys in Texas in the annual Texas Super Lawyers listing. In addition to Mr. Sayles, firm co-founder Mark S. Werbner and firm attorneys Eve L. Henson and William S. Snyder are highlighted in the 2010 Texas Super Lawyers list, which appears in the October issue of Texas Monthly. This marks Mr. Sayles’ second selection as one of the state’s top 10 attorneys, and the eighth consecutive year that Mr. Sayles and Mr. Werbner have been honored among the Top 100 attorneys in the state. Mr. Snyder and Ms. Henson earned the Texas Super Lawyers honor for the third consecutive year, and both previously were recognized in the companion Texas Rising Stars guide that honors the state’s top young attorneys. 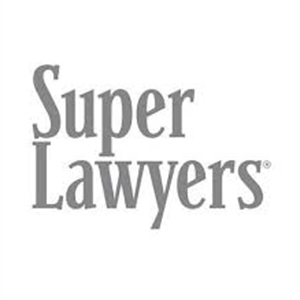 To compile the annual Texas Super Lawyers listing, researchers solicit nominations from the more than 70,000 attorneys across Texas. A blue-ribbon panel of lawyers assists with final selections, and fewer than 5 percent of all Texas lawyers earn the distinction each year. In addition to Texas Monthly, the listing also appears in Texas Super Lawyers magazine, which is published by Thomson Reuters Legal Division. Sayles Werbner has an international reputation as a “go to” trial firm in multifaceted business litigation, intellectual property, life-altering personal injury cases, product safety lawsuits and other areas of the law.